Affectionately called, “The Bean” and what has become synonymous with the Chicago experience is Anish Kapoor’s Cloud Gate. Cloud Gate was created by using computer technology to cut 168 massive stainless-steel plates into precise shapes which were then pieced together like a puzzle and welded shut. Once fully assembled, the 12-foot-high central arch provided a “gate” to the concave chamber on the underside of the sculpture prompting Kapoor to formally name the piece Cloud Gate. 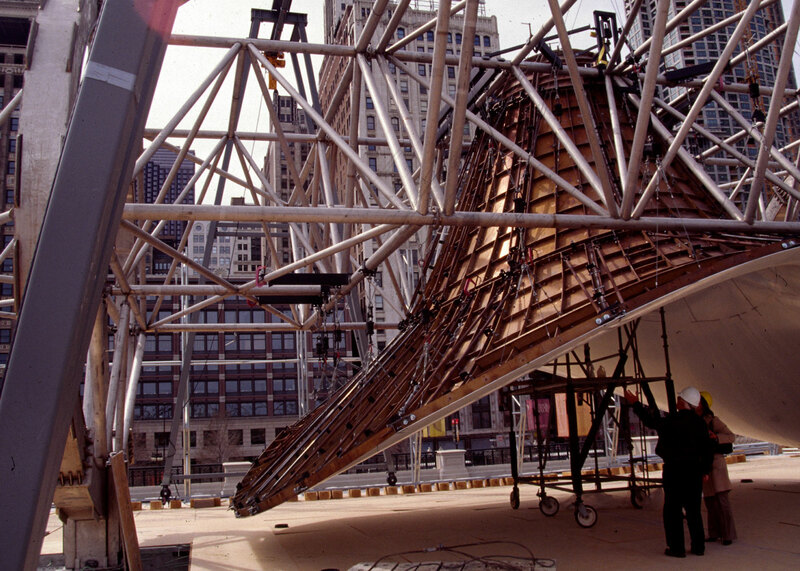 A network of two large internal rings connects a truss that allowed the sculpture to be assembled and direct the weight to two points at the base. The stainless-steel skin was attached to the internal structure with flexible connectors that allow it to expand and contract in response to the extreme weather conditions in Chicago. The cost of Cloud Gate was completely underwritten by the Millennium Park Foundation using funds from private donors. Inspired by liquid mercury, it is one of the world’s largest permanent outdoor art installations. Its stainless-steel surface highly reflects the activity and lights of the park and surrounding city skyline, inviting visitors to touch and interact with its mirror-like surface and see their image reflected from a variety of perspectives. Anish Kapoor is an Indian-born British sculptor known for his large-scale works made of various stones, highly-saturated pigments and, most famously, highly reflective stainless steel. 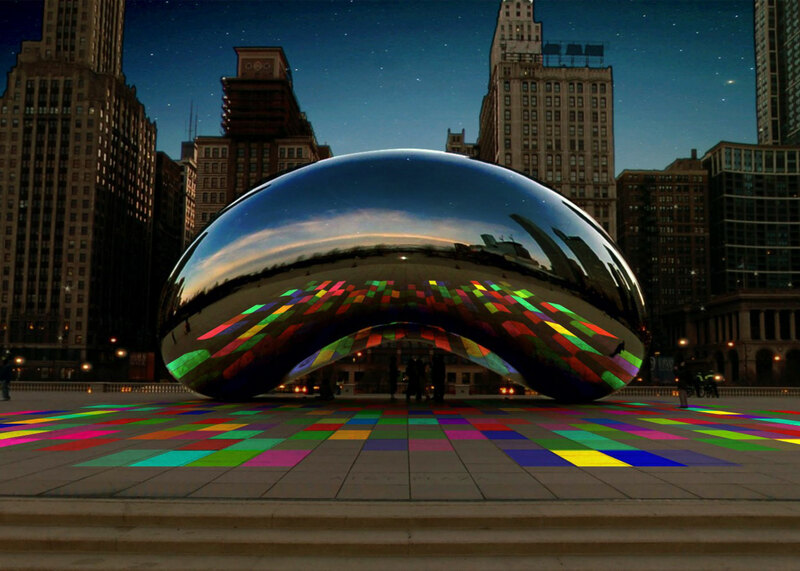 Cloud Gate was Kapoor’s first permanent public outdoor work in the United States and has become one of his most famous. Visit Chicago Public Library for more archival photos of Cloud Gate.